This rather untidy circle which was once known as the Druidical Circle is about 30 metres in diameter. 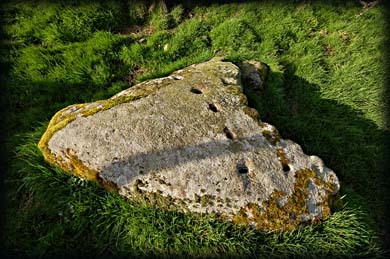 It consists of around forty stones, some of which are decorated with cup-marks. 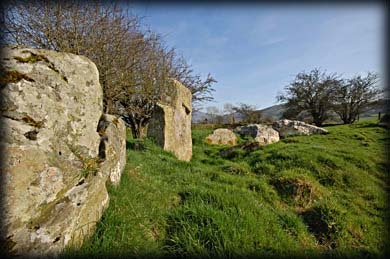 The circle has two enormous white quartz portal stones at the entrance, each weighing at least 15 tons. The circle itself is surrounded by an earthen bank around 1.2 metres high. In areas the bank is kerbed with smaller stones. The 4.5 metre wide bank has an opening at the east. You really need to spend time here to picture the plan and appreciate the enormity of this magnificent site. Thanks to aerial photography and research it was discovered there was originally an outer ditch and outside the ditch was another bank with a timber revetment. So we have a stone circle 30 metres in diameter embanked with a 1.2 metre wide earthen bank that was kerbed with stones, surrounded by a ditch which in turn was encircled by a second bank. This bank was held in place by timber with an outer ditch around the timber revetment. 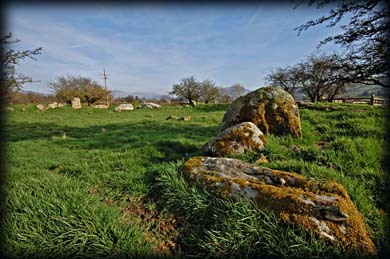 To the east of the entrance are a few scattered stones suggesting there may have been an avenue or row leading to the portal stones. WOW ! What a wonderful sight this magnificent monument must have provided to the early visitors to Castleruddery during the bronze age. 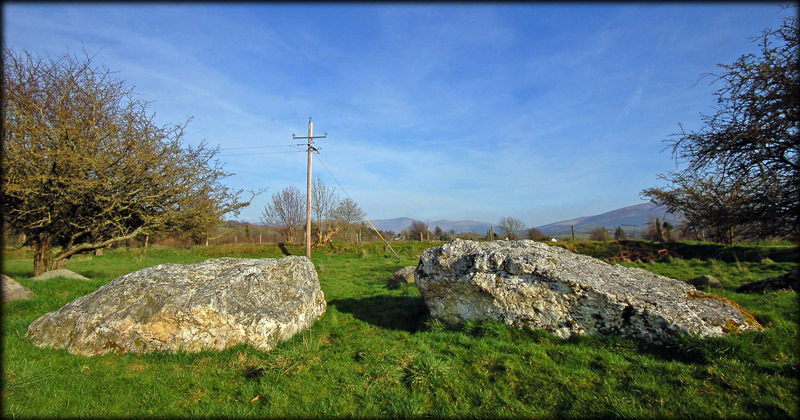 Situated: Five miles North-East of Baltinglass on the N81 is a sharp right hand turn, the Castleruddery Circle is sign-posted at this turn, follow the road through the next crossroads. The circle is in a field on your right hand side. Discovery Map 55: S 9153 9424 Last visit Mar 2009.